Aug. 18, 2018, 8:18 p.m.
It,s a solid foundation , with the Fox 36 and the rear shock IMO . And totally agree you about a frame set , maybe next year. Aug. 18, 2018, 9:04 p.m.
Aug. 18, 2018, 9:11 p.m.
^ Da fuqt is that besides a large helping of WANT? New SB5.5? Aug. 18, 2018, 9:19 p.m.
Aug. 18, 2018, 9:29 p.m.
yeah yeah, but what about the fork offset? 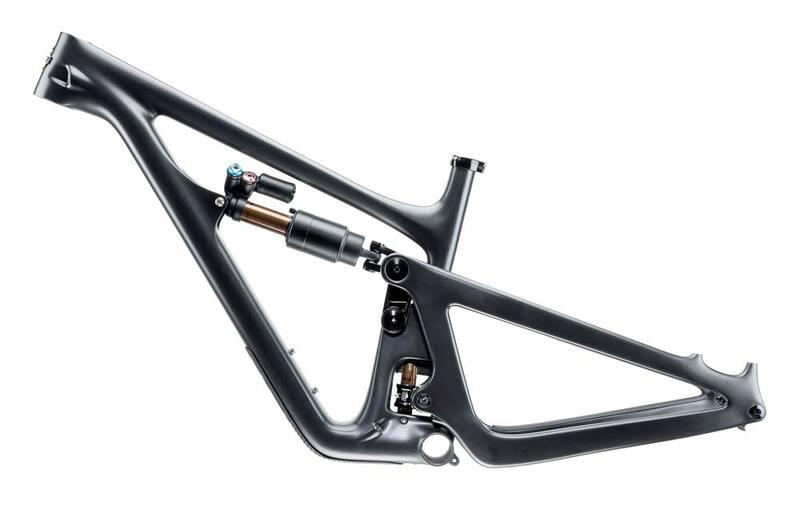 Aug. 19, 2018, 10:35 a.m.
Everything comes with 44mm offset for 29ers in 2019MY. I'd laugh if the offset was 37mm though. Aug. 27, 2018, 1:31 p.m.
Last edited by: XXX_er on Aug. 27, 2018, 1:34 p.m., edited 1 time in total. Anyone have CAD$ pricing on that Yeti? Might be good for a laugh. With current FX, it comes up just above $4,900 CAD, once you factor in the Canadian distribution premium, you're likely looking at $5,500 conservatively. Aug. 28, 2018, 8:31 p.m.
Aug. 28, 2018, 8:53 p.m. Does Yeti have a CDN distributor, yet? Aug. 29, 2018, 8:17 a.m.
Doesn,t look like it , I know they were a very popular bike on the Canadian Enduro series . I did couple races and marshaled an event and was surprised at the number of riders on a Yeti. Aug. 29, 2018, 8:18 a.m.
that sounds cheap fora yeti, must be just the frame ? Last edited by: XXX_er on Aug. 29, 2018, 8:19 a.m., edited 1 time in total.